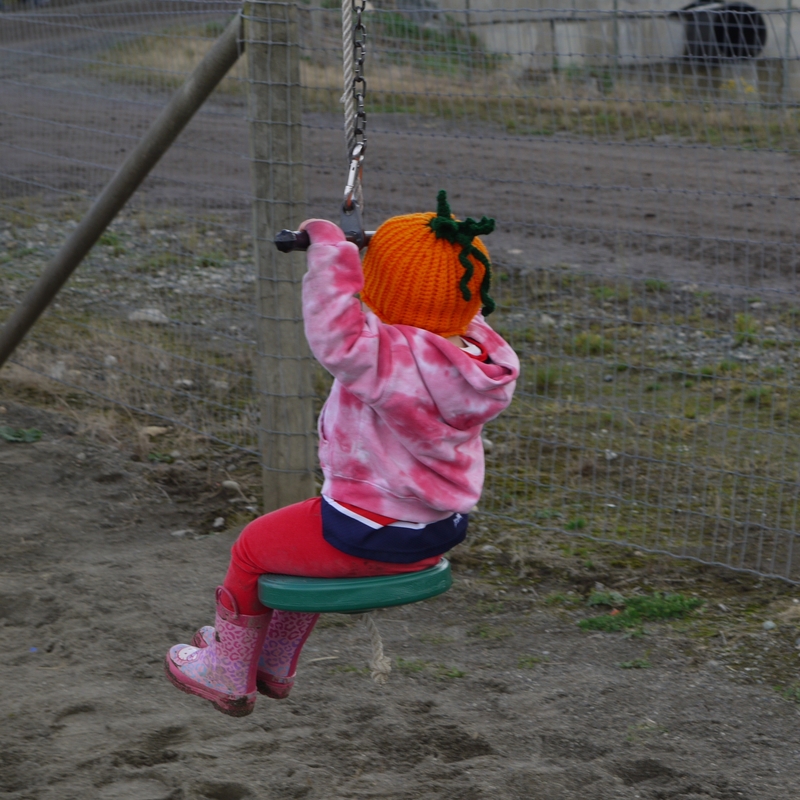 Over the weekend we did the pumpkin patch thing. 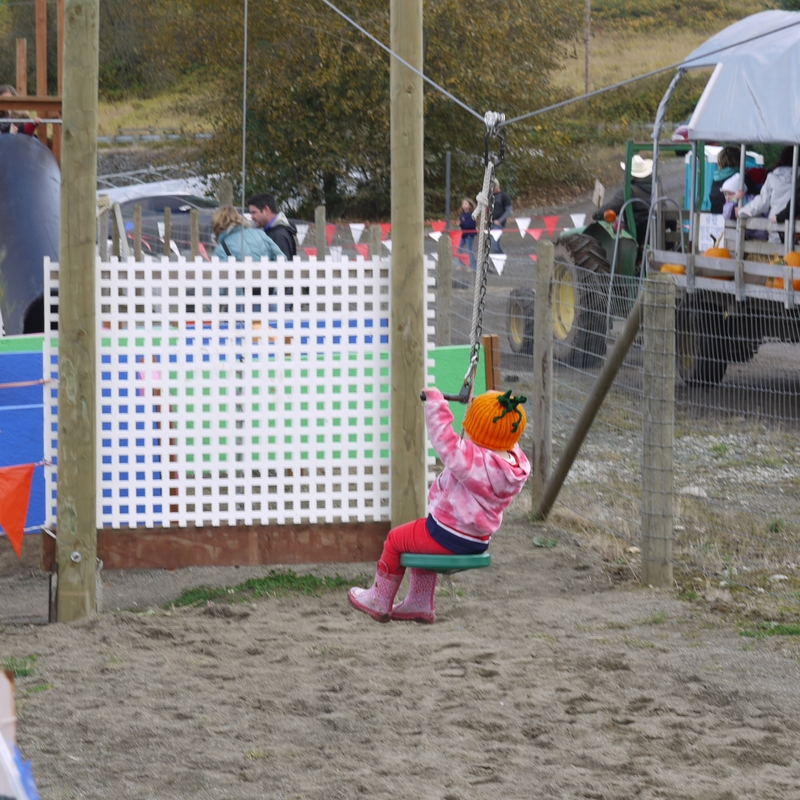 We happen to live very close to a great place that we go to every year: Carlton Farms. Each year they get better, and this year was no exception. We sprang for the $5 pass to get Soapfi into the Kid Korral. Worth. Every. Penny! Can you say kiddie zip line? 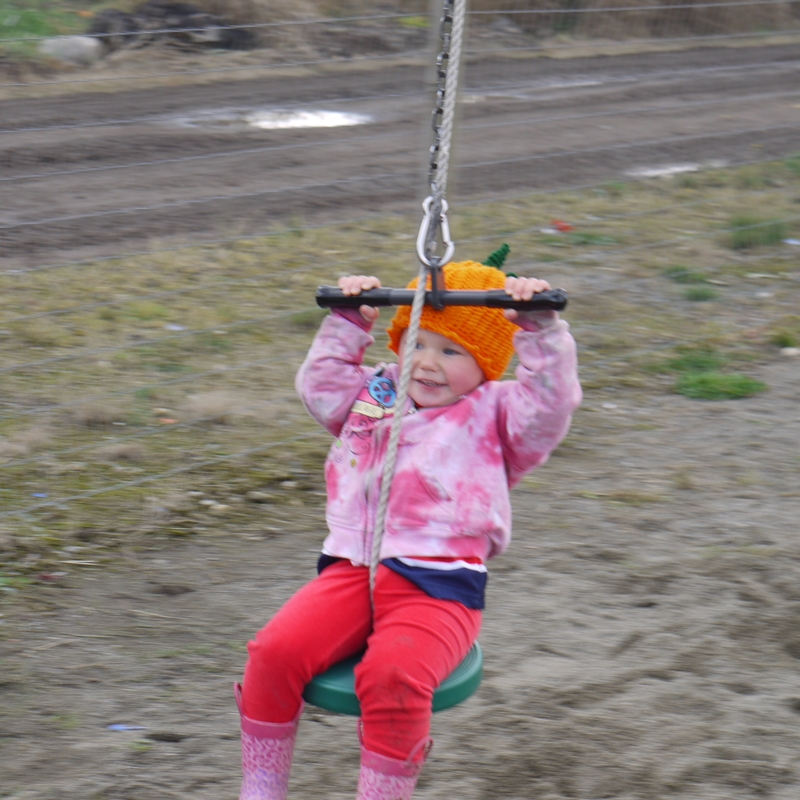 Soapfi was hooked after the first ride – it was a litany of “again Daddy” for at least 30 minutes! 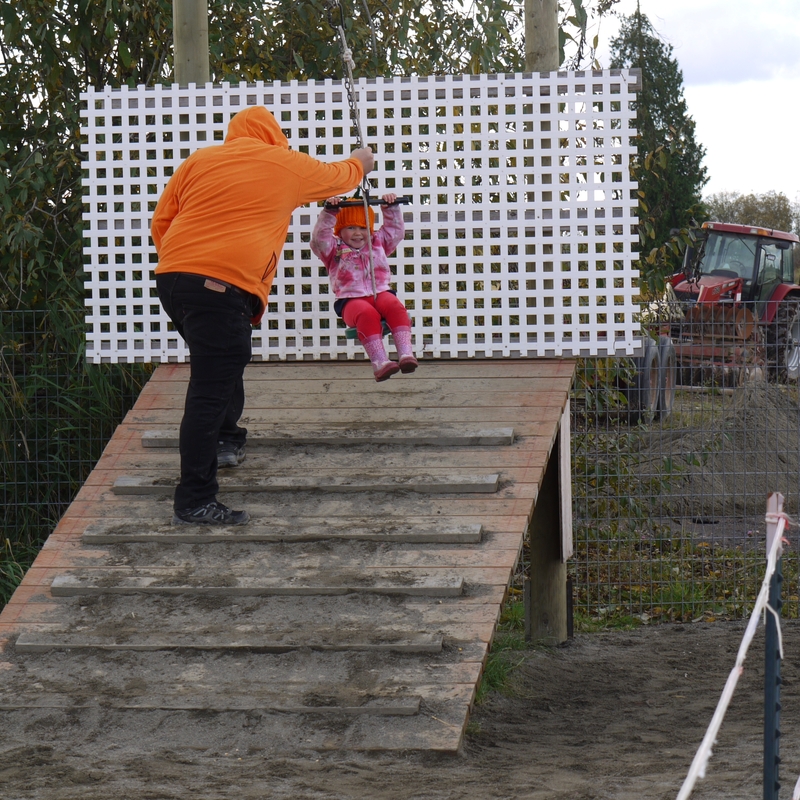 She was probably one of the littlest kids giving it a try, but was giving the biggest shouts of “whhhheeeeeeee” and unrestrained giggles. I’m hoping this bodes well for my planned attempt to get her on skis in the near future! I am now waiting for her to further reprimand him whenever said hands aren’t at precisely 10 & 2 on the wheel!